Vancouver's leading provider of live classical guitar music for special events for over twenty years. Classical guitar is an excellent choice for your wedding music or private event. The guitar works incredibly well for intimate to mid-size weddings and receptions. It creates a warm and friendly atmosphere for the ceremony. Formal yes, but at ease and comfortable. I've played hundreds of weddings all over British Columbia for couples of all ages and needs. Many of my clients choose Vancouver and Whistler for their weddings for their stunning outdoor settings, as well as for having some of the finest restaurants in Canada. My job is to provide a high level of professionalism and musicality to complement these settings, and your event. 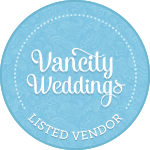 As a Vancouver wedding musician, I prefer to work closely with my clients, meeting in person if possible, and choosing music for the ceremony together. In addition, I perform at birthday parties, Christmas parties, openings, anniversaries, and any special occasions where clients wish to make their event memorable. Some of my favourite locations include the Pan Pacific Hotel in Whistler, and Vandusen Gardens in Vancouver. A classical guitar can really add that extra touch of class in these surroundings. Classical guitar adds a touch of class to any event! Listen to some of my music. "Olivia and I invited Thomas to play at our wedding and we are truly amazed by his performance. Before we decided on which musician to perform at our wedding, we went through a list of other musicians and let me tell you that Thomas stood out above the crowd. Thank you Thomas for your professionalism and your world class performance!!!"